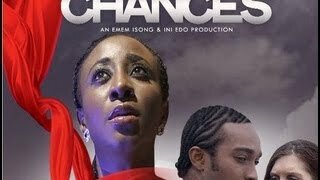 I'll Take My Chances Nigerian movie Part 1, the free full movie is showing on NMN - starring Ini Edo, Sam Loco Efe, Bryan Okwara, Ashleigh Clark, Ini Ekpe, Biola Williams, and Jide Kosoko. STARRING: Ini Edo, Sam Loco Efe, Bryan Okwara, Ashleigh Clark, Ini Ekpe, Biola Williams, Jide Kosoko. 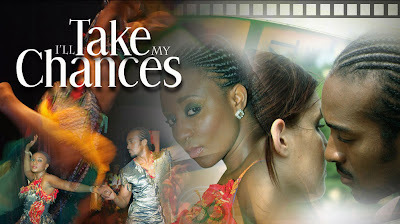 Continue watching: I'll Take My Chances Part 2 Nigerian movie. Idara had a mission to fulfill at the shrine of Unek. Just when her task was about to take place Ik came into her life. His passion for dance was tremendous, even though he had a dance partner, Idara became his new partner. Conflict struck since Idara must complete her task at the shrine and IK also needs her at the final dance competition. The priestess of the shrine and Ik were not ready to let her go, she has to make the right choice to fulfill destiny. all the movies keep buffetting i have being watching with no problems until now what might be the problem please i am dying to watch i will take my chances. @Dolores the movie is currently unavailable, sorry about that. But check back this very movie page from time to time as we're constantly working to update the movie from a newer source.